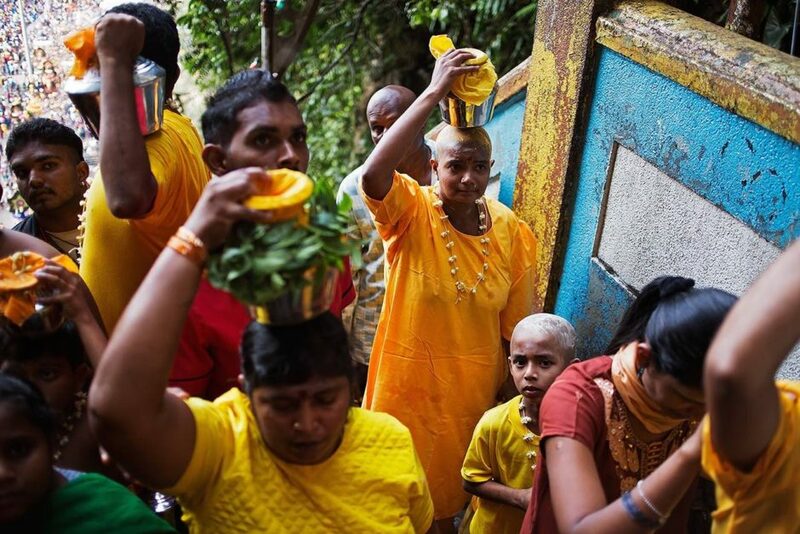 Malaysia's Thaipusam festival. Warning: Pics are gnarly. 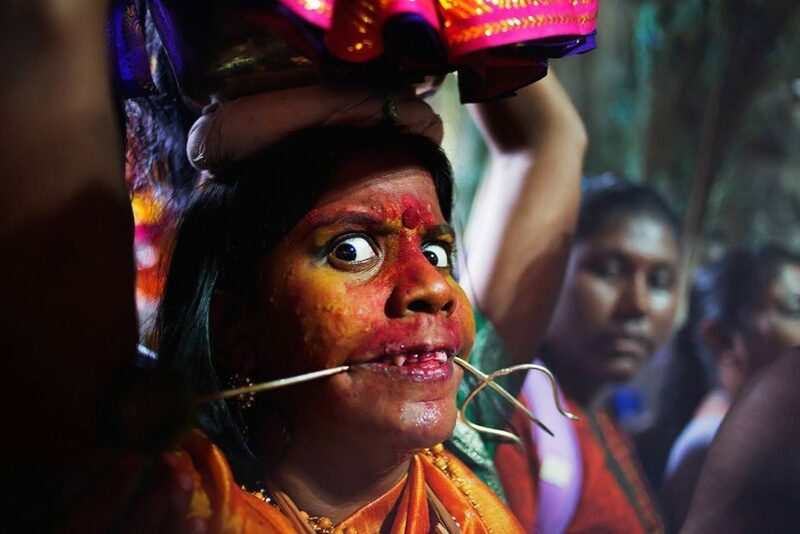 Malaysia’s Thaipusam festival. Warning: Some of these pics are gnarly. 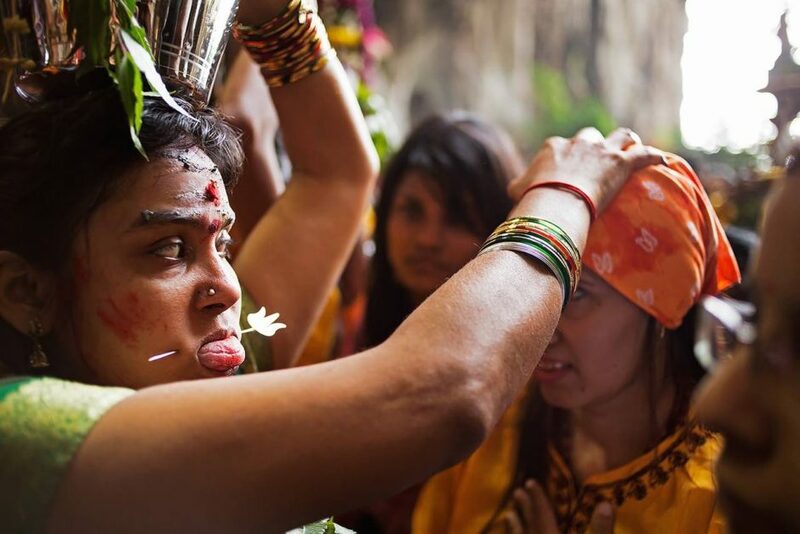 Thaipusam is the largest and oldest festival of the Hindu people (celebrated mostly by the Tamil community), during which hundreds of thousands of faithful pay homage to the god Murugan, the warrior deity, celebrating his victory over the forces of evil and his loyalty to his Creator Shiva. Captured here is the biggest of all the festivals. The Batu Caves, just north of Kuala Lampur in Malaysia, is the largest religious temple complex in the world. Murugan, depicted with a spear received by the goddess Parvati. 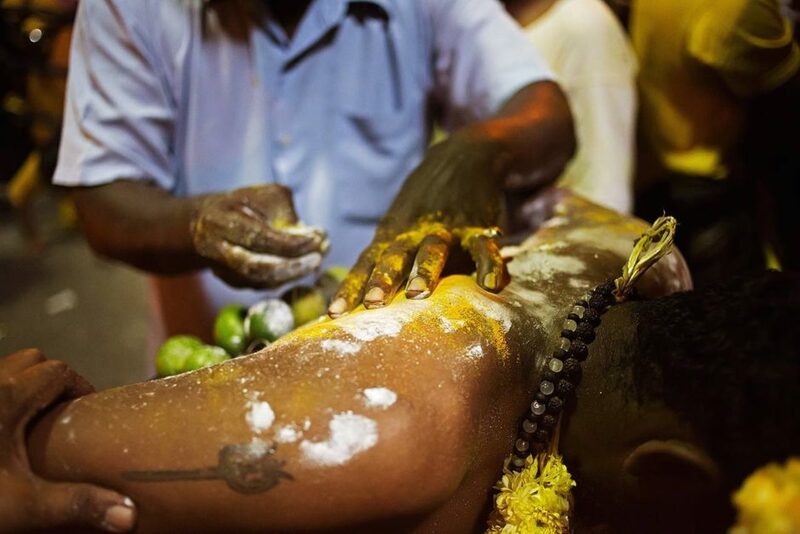 Kuala Lumpur has become a place of pilgrimage for people who come from all over the world in order to pay homage to their god. Paal Kudam filled with milk as an offering to Murugan. These containers filled with milk - Paal Kudam - will be used to pay tribute to their god when they arrive at the temple. 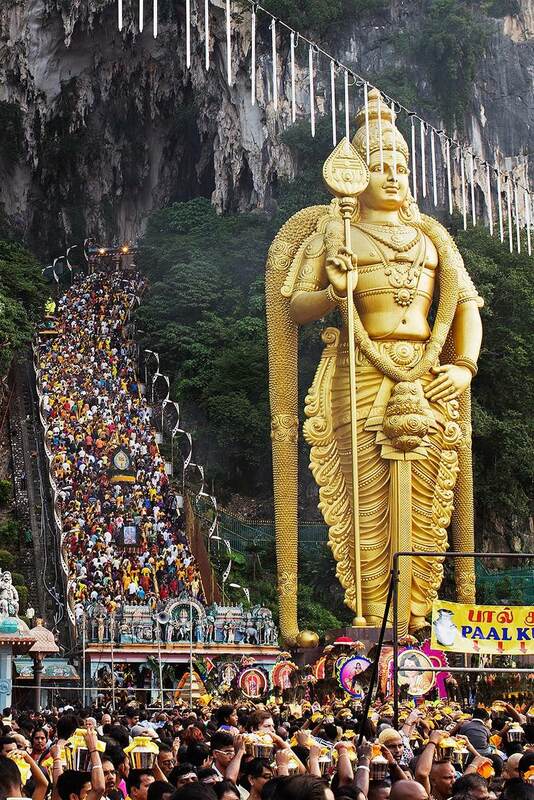 The devotees climb the 272 steps of stairs to reach the entrance to the Batu Caves. 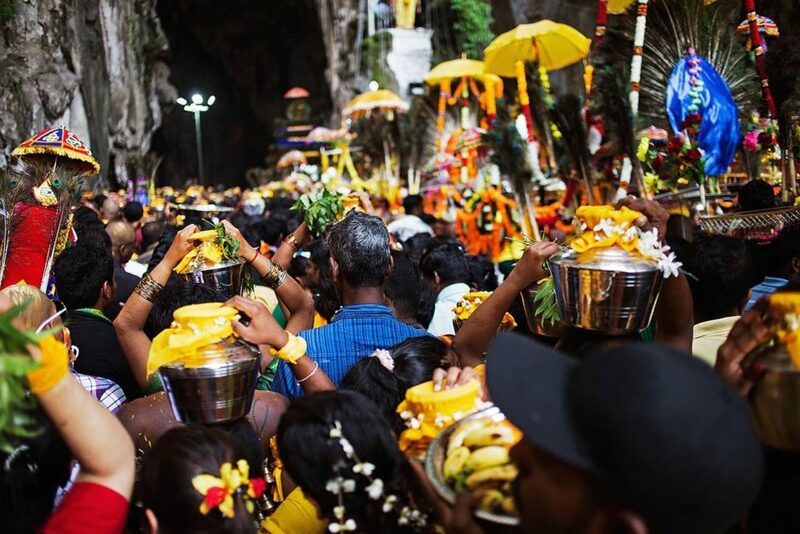 The pilgrimage to Batu Caves begins in the early hours of the first day of Thaipusam. 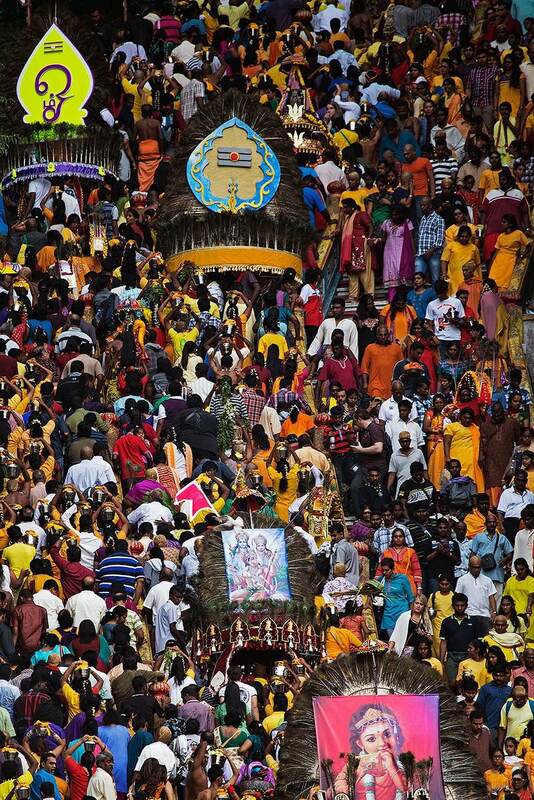 The faithful march from Mahamariamman Temple - located in the center of Kuala Lumpur - to the caves 18 km away. 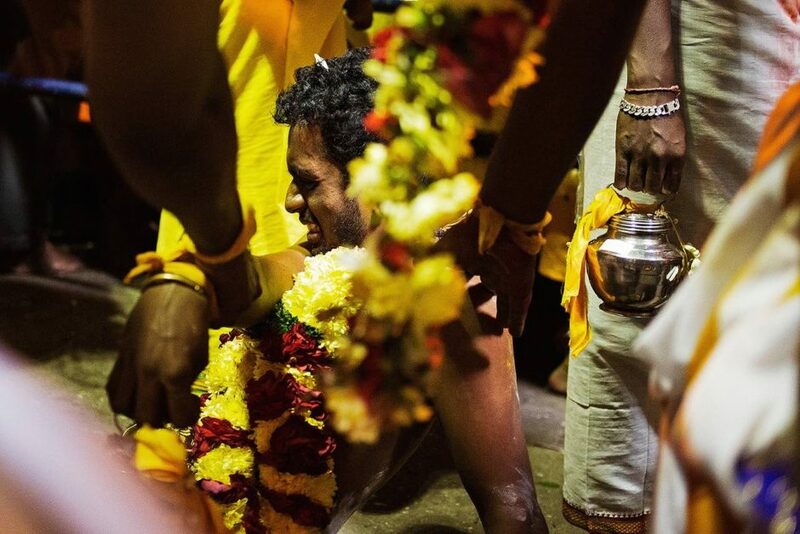 The devotees carry kavadi (offerings) on their shoulders. The procession can last more than eight hours. Family members often assist the devotees in carrying their kavadi. 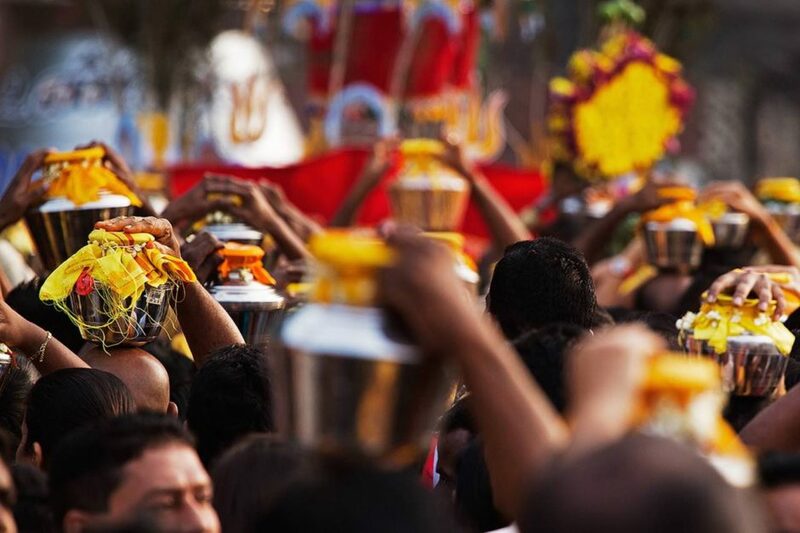 The kavadi are attached with chains by hooks pierced in the back. 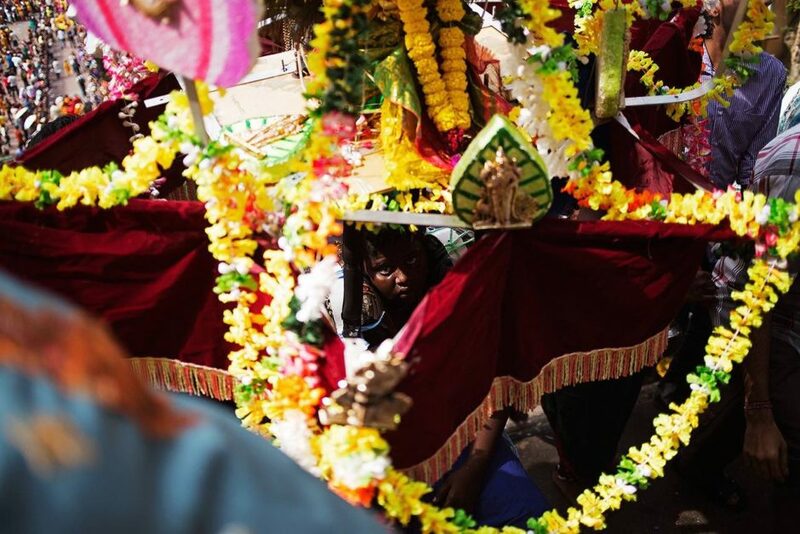 Kavadi are hooked to the devotee’s back with chains tied to a small wagon, usually containing sacred images or statues. After hours of climbing the stairs devotees patiently await the moment of entry to the Batu Caves. Children also actively participate in the rites. The procession continues its march towards the entrance of the Batu Caves. 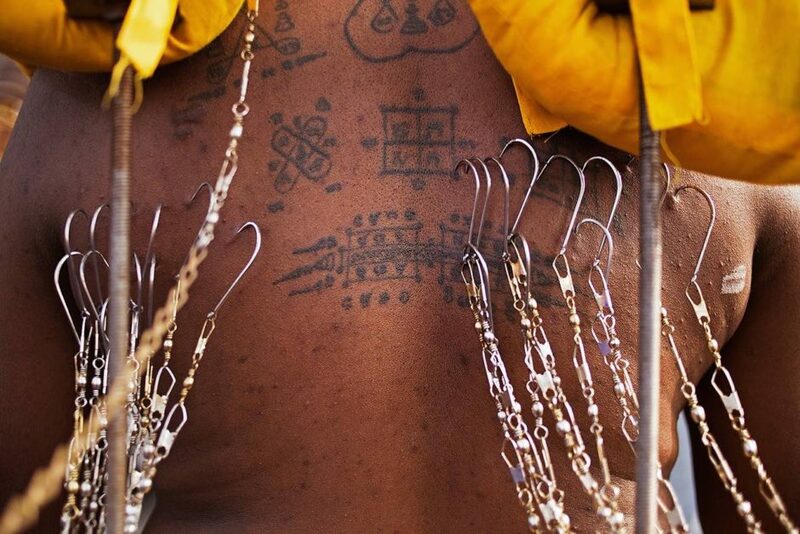 With the devotees falling into a trance, the piercings do not cause pain. 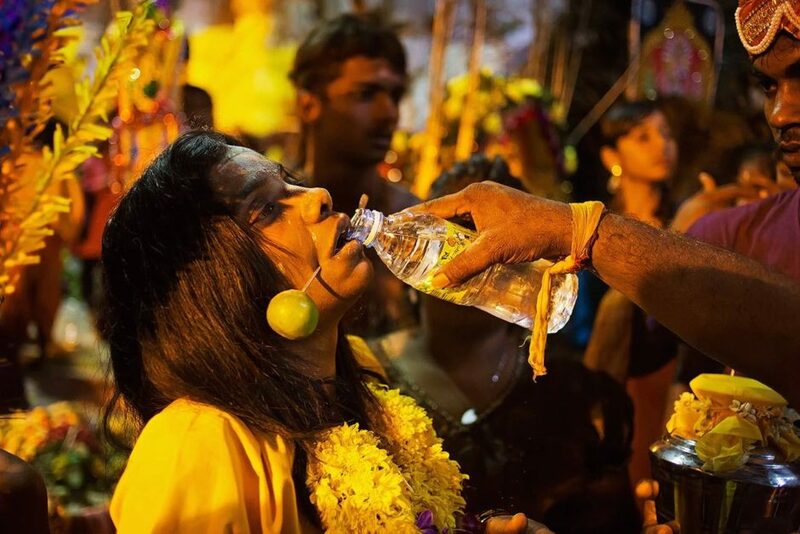 Some devotees pierce their cheeks, tongue, or through the lips. 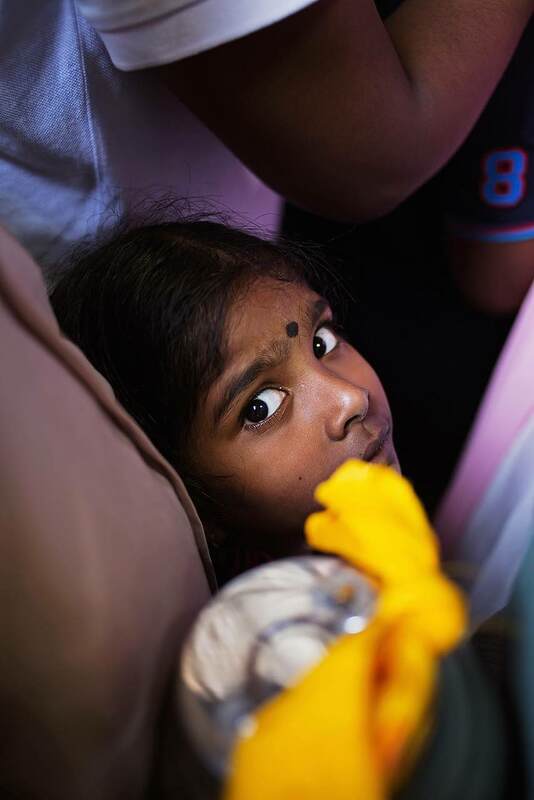 The metal rod mimics the shape of the Vel, the sacred spear carried by Parvati Murugan. The priest, with the help of family members of the devotee, removes the piercing. The piercing rituals are not usually bloody. To the cry of “Vel, Vel!” the family of the devoted urge them to be strong. The priest receives a devotee after waking up from a trance state. 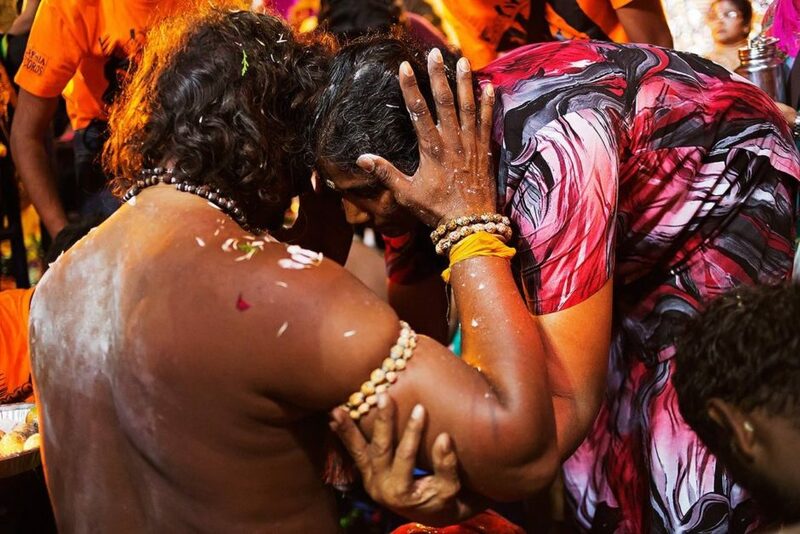 Assisted by family members of the faithful, the priest removes the hooks, knives, kavadi and other burdens from the devotee. 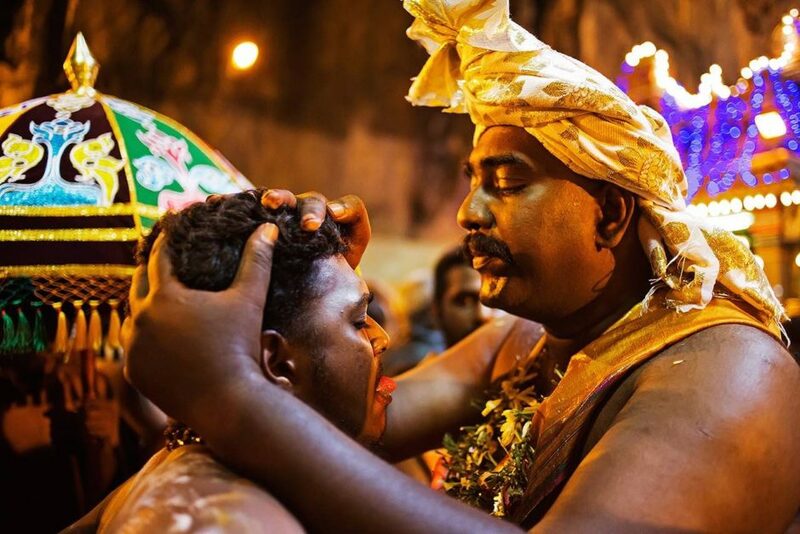 After coming out of the trance the devotees then thank the God Murugan for favors given - usually a job, the healing of a close relative, the fulfillment of love - in return for their efforts and ritual sacrifice. Having completed their mission, devotees will return to their daily lives purified and invigorated by the experience and ready to consolidate and live the lessons learned during the procession. Palm oil is in everything and it’s killing rain forests, endangered species and people. Here’s how.